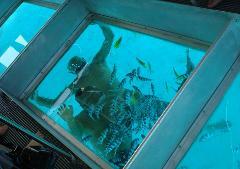 Don't miss a fantastic day out on Muri Lagoon! 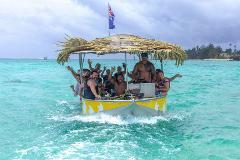 Since 1992, Captain Tama's have been offering their award winning Muri Lagoon cruise with visitors to Muri Beach Rarotonga in the Cook Islands. Cruise on our glass bottom boats to the marine reserve for some awesome snorkelling with giant clams and schools of colourful fish, feed the fish before heading back to Muri Beach. Spend your Saturday afternoon cruising on our glass bottom boat to the Marine Reserve for some awesome snorkelling with giant clams and schools of colourful fish. 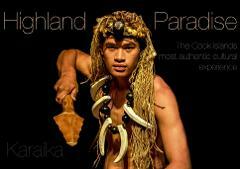 Award Winning Duo, Highland Paradise & Captain Tama’s have joined forces to bring you a fantastic cultural experience.